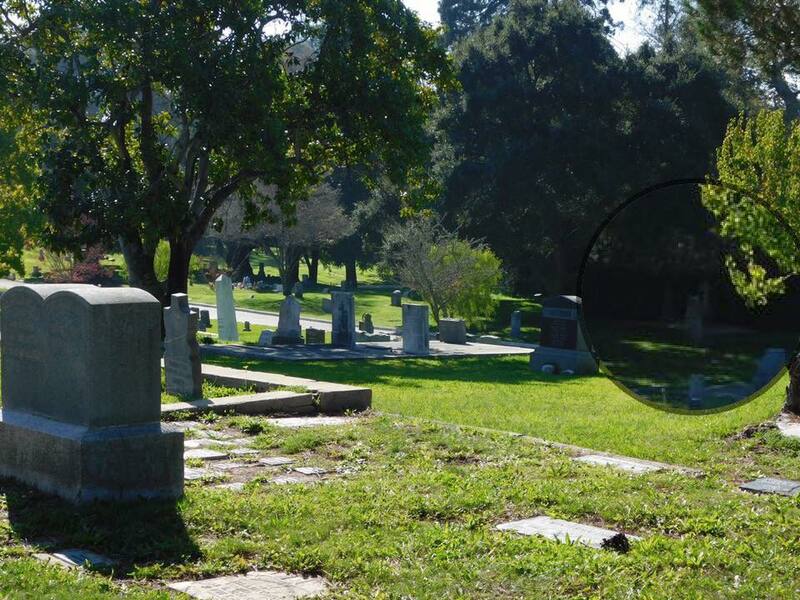 Graham Hill Road Cemetery, aka Santa Cruz Memorial Cemetery, is said to be haunted by apparitions, faces in headstones, dark shadows, and orbs. Some reports say if see a white figure coming toward you, get out of the way, because this is not a friendly ghost. I was brought here by my friends older brother, a couple of his girlfriends and my friend himself. We drove there after we celebrated my birthday at California’s Great America. We were driving to the road and told us the story of “The White Lady.” We drove all the way down laughing and screaming and turning the cars headlights off because it was night time to scare everyone in the car. He also played scary music to scare the girls in the back. We suddenly saw a strange sign with a strange symbol on it we didn’t know what it meant. So we stopped to scare the girls in the back saying it was a satanic symbol. When we were turning around after when we saw a fence blocking our path, I looked back and saw two shadow figures on the ground walking behind the fence. I told everyone and thought I was joking and was trying to scare them as a joke but I was dead serious! Seriously. The next day, I looked up this location of the road and the whole story was true. It also said you can see shadows or a white ghost during night time on this road. So, it wasn’t me joking, I did see shadows. Sorry, I do not have pictures since my phone wasn’t ready. I have never heard of this cemetery before, I happen to be into the paranormal. I went to Graham Hill cemetery back in November. I happen to have caught the White Lady shadow.